Get ready to wear some pretty ugly shoes this spring. Ugly, chunky sandals were once reserved for out-of-place tourists, outdoorsy folks and grandmas alike, but this comfy shoe trend is about to reach a much wider audience — whether they're ready for it or not. "Tourist sandals," as some industry insiders are branding the look, are one of the more bizarre trends for Spring/Summer 2019. But the fashion powers that be (aka some of the industry's top designers) seem determined to make them happen. When we think of stylish shoe trends, thick rubbery soles and utilitarian straps don't immediately come to mind. 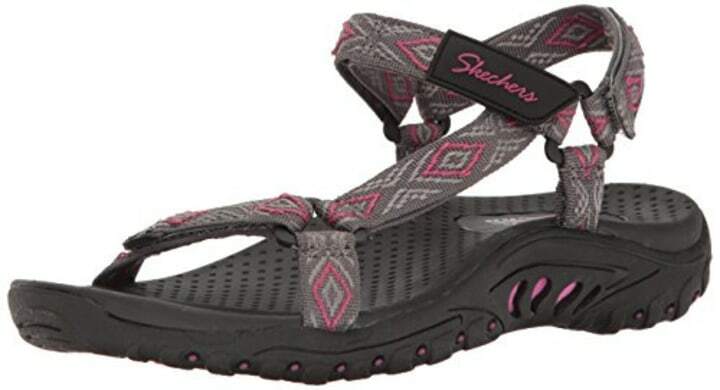 In fact, we've spent decades avoided these shoes (think Tevas and Merrells) like the plague. Yet, somehow, these practical designs seemingly dominated the spring collections. Several designers sent their models down the runway with plain black sandals. While others opted for shoes featuring a patterned strap. One thing most models had in common? They sported a typically taboo look: socks and sandals. If your first reaction to the "tourist sandal" trend is sheer horror, you're not alone. We wouldn't be surprised if fashionistas everywhere shed a small tear when they first caught wind of the trend. But you do have admit, the "ugly" trend seems pretty relevant, especially considering all the other wacky fashion trends designers have presented us with lately. Like that bizarre male harness trend sweeping Hollywood. And those puffer coat evening gowns we secretly liked. While they're admittedly the antithesis of chic, we have to admit that "tourist sandals" do seem pretty comfy. And if the fashion community can give fanny packs a second chance, we wouldn't be surprised if they embraced ugly sandals, too. We wouldn't immediately gravitate towards this look but upon closer inspection, the gorgeous color and comfy cushioning are pretty tempting. 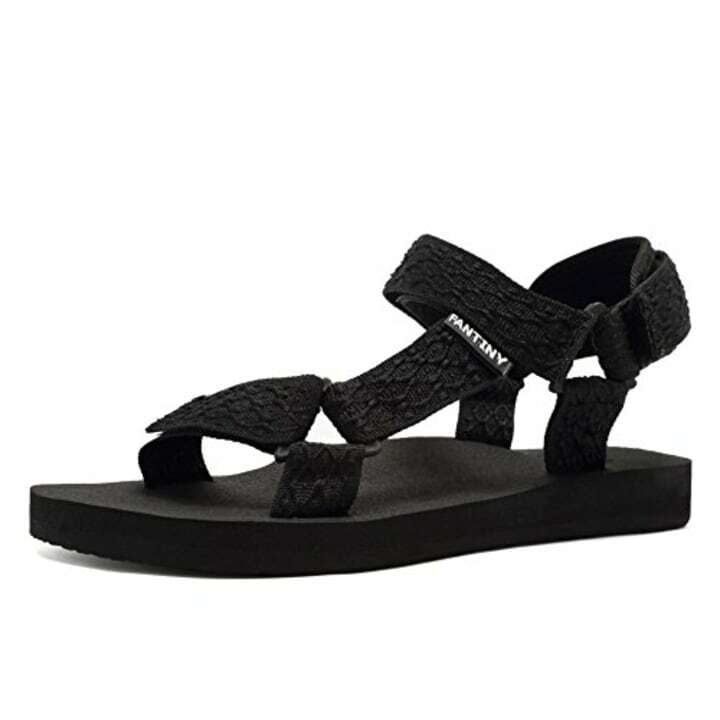 Spring is the perfect time to try fun, new patterns, and this black strappy sandal offers the perfect way to dip your toe into the "ugly sandal" trend. 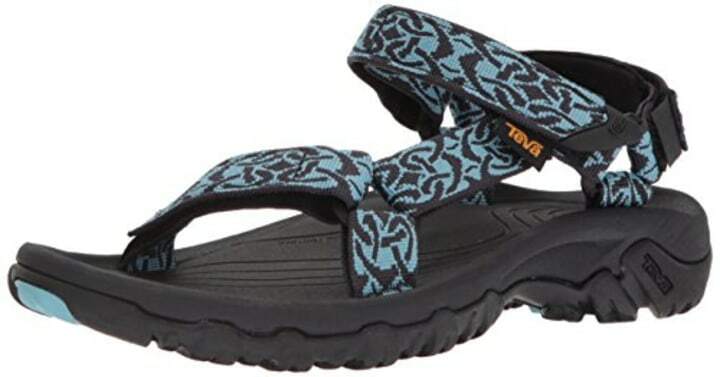 Teva knows a thing or two about comfy, practical shoes, and their recent collection has some fun patterns that add a bit of fashion to an otherwise casual look. 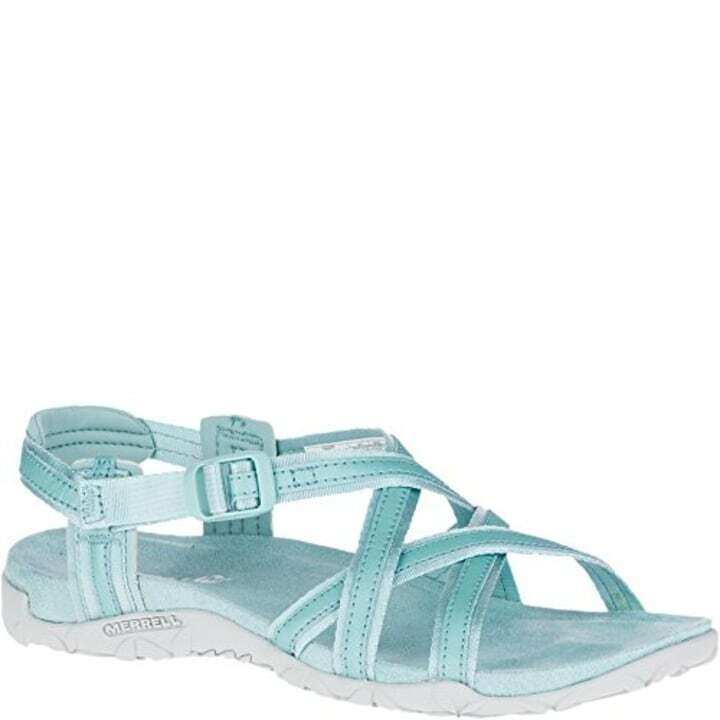 With such an affordable option, you won't feel guilty if you decide you really hate "tourist sandals" after all.